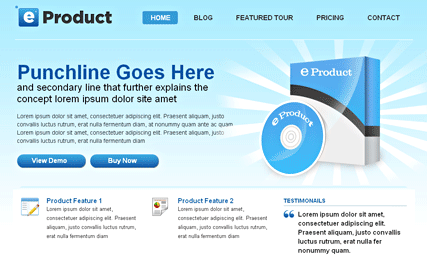 November 22nd in Premium Themes, Themes for Businesses, WordPress Themes by Wordpress Jedi . iPhone development is one of the hottest niches around these days. If you know how to develop iPhone apps and have a great idea for an app, there is no reason you can’t build a successful business around your app. In fact, many people have quit their day jobs to focus solely on iPhone development. With iPad, you are going to have even more opportunities to make money in this business. Developing an iPhone app is only part of the equation. Once you are done with your app, you are going to have to spend time promoting it. You certainly want to create a mini-site for your app. After all, if you want others to take your business seriously, you need to approach these things in a professional matter. Thanks to the power of WordPress, you can easily set up your mini-website and go live fast. You are just going to need the right theme. 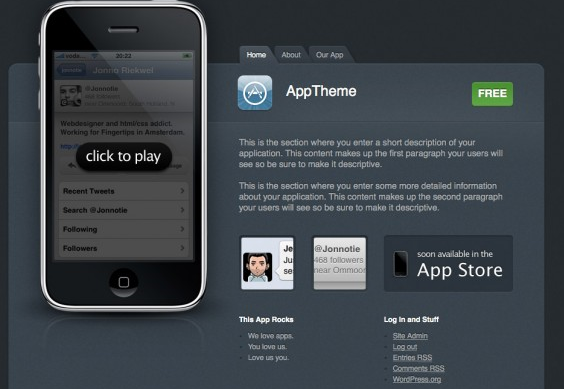 iPhone App Theme: the best theme around for iPhone app developers. Doesn’t need you to touch the code. Comes ready to go out of the box and can be customized easily as well. 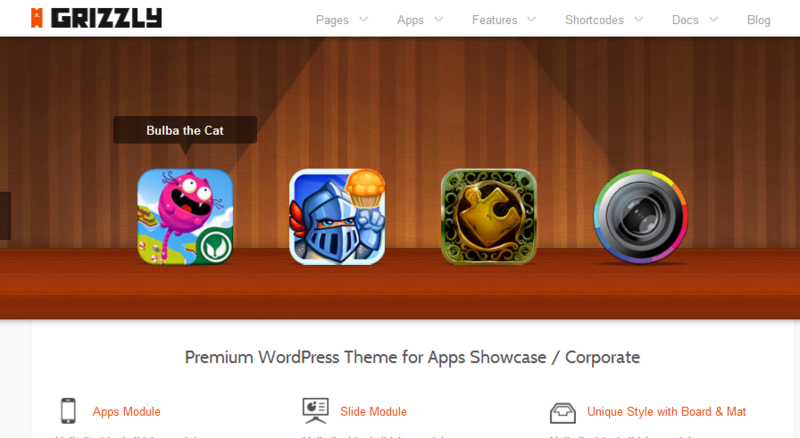 Grizzly for WordPress: lets you promote all the apps you have developed in a more professional fashion. It supports Android apps too. You get 3 ways to promote your apps. 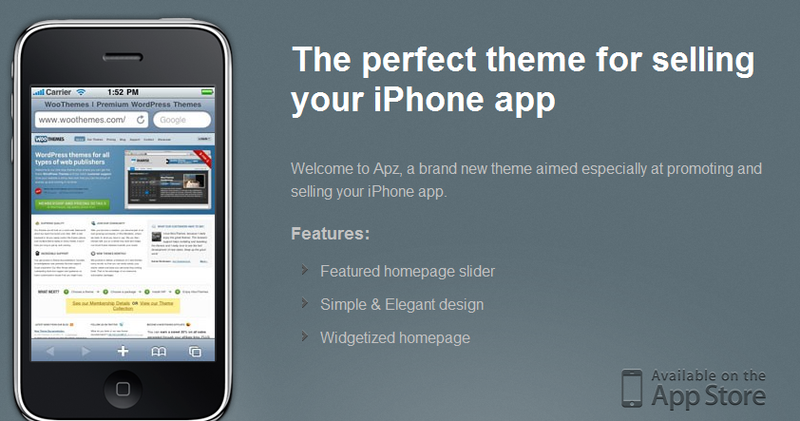 Apz theme: a dynamic iPhone app WordPress theme that is designed for those who want to start an iPhone business or sell their existing apps more effectively. It’s app store and video friendly. App Theme: whether you want to show-case videos of your iPhone app with the world or just want to let your visitors find out more information on the benefits of your app, this theme has you covered. It’s app store friendly too. 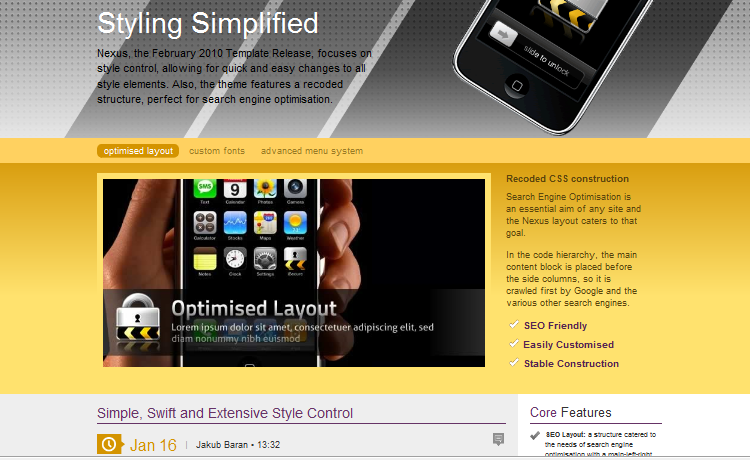 MyApp Theme: a portal like theme for WordPress that targets iPhone app developers and small businesses. If you have an iPhone product to promote and want to build a portal instead of a 1-page site around your app, this theme is worth a look. Nexus Theme: a bit more sophisticated that the above options. It can be used to create an iPhone portal fast. Very dynamic and colorful. Featured Pitch: works for most startups and small businesses. It’s designed to help you sell your products or service. Comes with video integrated and 9 cool color schemes. eProduct: whether you are a software developer or just have a product you want to create a mini portal one, eProduct is a theme that can make your life much easier. 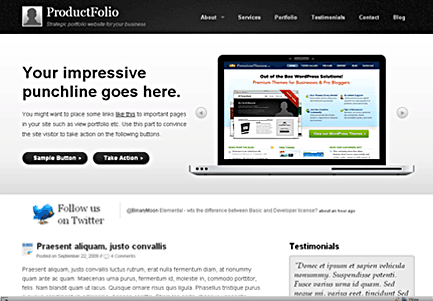 ProductFolio: a pretty flexible and easy to use theme for any product developer. Comes with 7 color themes and lets you promote your app easily on the home-page. It’s dynamic too. 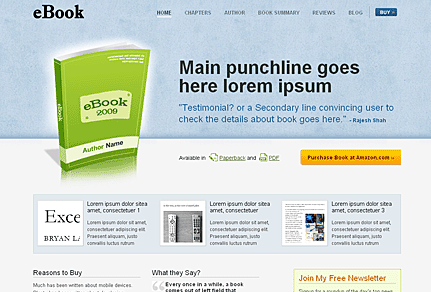 eBook Theme: it’s designed to work for e-book writers. However, you can easily customize it to make it work for your iPhone or iPad application as well. It’s search engine friendly and easy to customize. What’s your favorite iPhone app theme? Thanks a lot for all those amazing tips. We are developing a lot of different apps and all this info is really worthy for us. ! !